Temporomandibular Joint Syndrome - If you place your fingers in front of each ear and open your jaw, you’ll feel lots of wiggling. 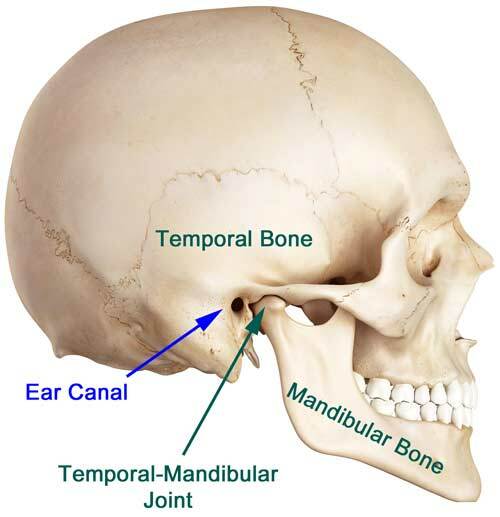 This is where your skull’s temporal bone attaches to your mandible (jaw): the temporomandibular joint (TMJ). Lots of ligaments, cartilage, fascia, discs, muscles, nerves and blood vessels run in, around and through it. 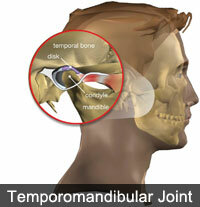 When the TMJ joint is misaligned it is called TMJ Syndrome. Common symptoms include the inability to open the mouth wide and clicking or popping sound when the mouth opens or closes. In some cases the jaw can even temporarily lock up. Other TMJ symptoms can include headache; hearing loss; tinnitus (ringing in the ears); throat fullness; facial swelling; shoulder, cheek or jaw pain; neck ache; facial nerve pain; ear or eye pain; dental pain; nausea; blurred vision and dizziness. TMJ Syndrome has also been linked to vertigo, throat infections, sinus congestion, ear infections, asthma and even heart, stomach, intestinal, respiratory and emotional disorders. Causes of TMJ - Acoording to noe researcher, “[Up to] 78% of the general public have some amount of TMJ dysfunction. This condition can begin during the birth process…. One of the primary causes can be poor nutrition.” Indeed, TMJ symptoms are found in young children. Other causes of TMJ Syndrome are poor posture, spinal or skull subluxations, accidents and trauma (even from childhood). For example, a child may fall on his/her sacrum and in time, through the adaptive body mechanisms, the pelvic imbalance can affect the TMJ, head and neck. Gerald Smight, DDS, a specialist in this field, says dentalwork is the cause of many TMJ problems - Orthodontic treatment affects the cranium in 100% of cases…. The structural imbalances cause chronic fatigue, headaches, scalpt tenderness, pains behind the eyes, muffled ear sounds, ringing, hissing or other ear distortions, balance problems, nausea, facial tightness and cervical or lower back pain. Dr. Daryl Curl, who holds degrees in both dentistry and chiropractic, confirms that orthotics (braces, crowns, etc.) may contribute to or worsen a patient’s head-pain complaint. The pain of ill-fitting dental work can be quite intense. There are even reports of individuals forcing dentists to remove their braces at gun point! Let us not overlook that the very act of sitting open-mouths in a dental chair and getting worked on puts great stress on the TMJ. The chiropractic Approach - Because structure and TMJ problems are often found together, many TMJ sufferers benefit from chiropractic care. 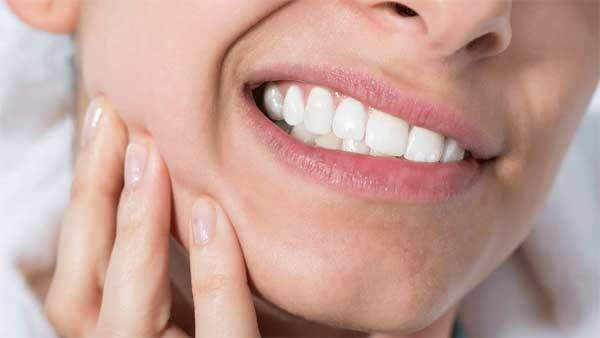 Chiropractic, by relieving pressure on the spine and cranial bones, may correct or relieve a TMJ problem. Conversely, an unhealthy skull/jaw alignment can put great stress upon the spinal column. There are documented cases of dental problems that, once corrected, have enabled chiropractic patients to better hold their adjustments. In Conclusion - Certain chiropractic and body alignment techniques have been developed that analyze skull/jaw/spinal structural relationships. These techniques have benefitted patients suffering from the hidden distortions that sometimes arise within us.